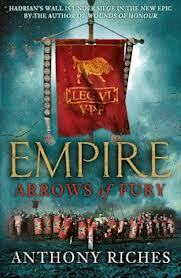 You may have missed my review of Anthony Riches’ latest epic a week or two back, but if you did, here’s a little treat for you. I’ve been treated to a nice little Q&A session with the author himself. Hopefully if you’ve not read my reviews or possibly even his books, this interesting and enlightening little interview will push you to doing so. 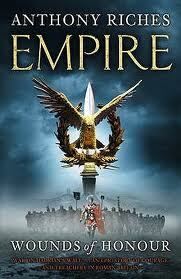 After all, the Empire series continues to ride at the crest of the wave of current Historical Fiction. Q. 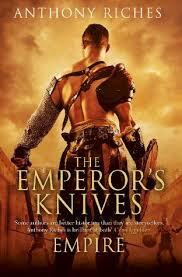 In ‘The Emperor’s Knives’ you take significant steps towards dealing with some of the background plot that has underlay the entire series so far. Did you consciously decide to bring the series over the last few books to a position where that could happen, or did the progress of the series serendipitously put you in a position to deal with it? Picture me in the Henhouse (writing hidey hole) grinning with smug pleasure as my “cunning plan” came together without conscious volition. And you thought it was all cleverly planned, eh? What do you mean, ‘no, I didn’t’? Harrumph. Q. In book 7, your locations are more vivid and intricate than ever before. How important to you is it to visit a place that you are going to write about first? Hugely. I’ve been to all of the locations. All over northern England and southern Scotland, Belgium (Tungria), Rome several times…the only place I’ve not been is Romania (Dacia), just because I ran out of time – did it show, I wonder? And of course I’ve not yet been to…ah, but you don’t want to know where book 8’s set, now do you? Q. 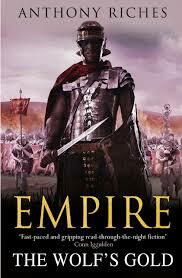 Was it a whole new experience after 6 books which revolved strongly around military campaigning on the empire’s borders to instead work on something more intrigue based in the great city? And given a choice, which do you prefer? A. Both (**copout alert**). It was a huge change, and I loved it, but it gives me big problems in book 8 from a ‘getting back to basics’ perspective. I’m like a farm boy who’s seen the big city and then has to go back to his plough… Although it’s nice to get the Tungrians back on stage, especially my latest soldier character, ‘Jesus’. You’ll know why they call him that when you meet him! Q. Your books contain a few historical characters as well as your fictional ones, such as Commodus, Cleander and Clodius Albinus. How do you go about deconstructing the myths about those people and then assembling them to portray within your story? A. What I actually do is a mixture of debunking as much myth as I can (for example, the revisionist view of Perennis is that he was probably doing a decent job of being emperor in the absence of Commodus showing any interest) with the reality of needing characters who can fit into my version of the late second century (which mean that he is also the man commanding the loyalty of the Knives). I think the two approaches can co-exist pretty well. Clodius Albinus was reputed to be ‘the best of men’, but who can say what was motivating the writer, in an age where you had to get paid to be able to afford to write, and there were no pubic institutions to do the paying, which only left individuals – like Clodius Albinus! And after all, this is fiction! Q. Although the bulk of the Roman military was made up of auxiliary forces and native units, the most famous fighting force was the legions and it is with them that 90% of the public will immediately identify when they think of Rome. 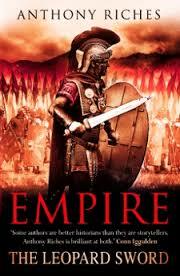 What prompted you to write about the less famous auxilia than the legions? A. I just felt it was time someone had a try at them, and it was great fun. After all, it was the auxiliaries who did the lion’s share of the fighting by the time of this series, so the first time one of my characters called the legions ‘roadmenders’ there was a real snigger in it for me. Mind you, that might rebound on the Tungrians at some point. They may not be auxiliaries for ever, you know! Q. Book 8 looks to be set in the east. Beyond that, what does the future hold for ‘Two Knives’ and his companions? A. Another 25 years of war on every frontier, civil war, the biggest battle of the second century which lasted two days (TWO DAYS!!! 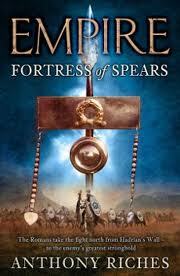 ), a military strongman, treachery, honour and blood. Lots of blood! 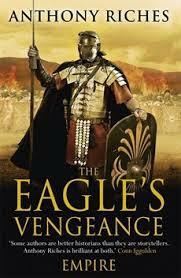 So thank you to Tony for that and a reminder that book 7 (The Emperor’s Knives) is out now in hardback and book 6 (The Eagle’s Vengeance) is released in paperback tomorrow. Hi. Can you tell me when book 8 in the series will be released?